Debt Collection Lawyer or Agency – How to Select? Selecting between a Debt Collection Lawyer versus a Collection Agency is often a confusing decision. If you talk to them or go to their website, both entities generally try to sway you towards using their own respective services. But, there are many scenarios where decision to select the right one is rather straightforward, in other cases it is a matter of personal preference and complexity of the case. Interestingly, many clients use both entities, starting with the Collection Agency first and Collection Lawyer later. Most Collection Agencies offer 3 types of services. Collection Letters, Collection Calls and Legal Collections. An agency will send between 3-5 collection letters on their letterhead asking debtors to pay. The verbiage on each letter becomes more and more intensive. These letters warn debtors of the stern consequences of ignoring the repayment. These set of 3-5 letters cost roughly around $20 in total. Payment for Collection Letters is done upfront, regardless the debtor pays or not. If the debtor pays the outstanding debt, you get all that money and collection agency does not charge anything. In Collection Calls, a debt collector calls the debtor personally and asks him to pay, sometimes in installments. The debt collector may even settle the debt for a lower amount with your (creditor’s) permission. For Collection Calls the Agency charges a contingency fees, means they will only charge if any amount is collected. If they do not recover anything, no money is charged. Typically agencies keep 25% to 50% as their commission. Legal Collections or the Attorney based collections are very similar, we will discuss it below. Unlike one size fits all approach which is followed by the collection agencies for the Collection Letters and Calls, Collection Lawyers take a very different approach. Once they study your case, they will give you a preliminary estimate. Their contingency and upfront fees (non-contingency fees) will vary based on how difficult it is to collect the debt. A debt which is harder to collect will require a higher upfront fee and a lower contingency fee. Additionally, depending on the amount of outstanding debt, they will charge a lower commission on large amount debts (around 10% on a $50,000 debt) , but higher commission on smaller debts (around 50% for debts around $1000). There will be additional costs like Court Costs, Attorney Suit Fee, Per Hour Fees etc. which again vary in each case. Lastly, for the older debts, the Attorney’s charge a higher fees as they are harder to collect. Collection Agencies which offer Legal Collections sometimes have their in-house lawyers, other agencies transfer your case to one of the Collection Attorney with whom they have a tie-up. Back to the priceless question, how to select? 1. Is the amount of debt large or small? Hiring a Collection Attorney for outstanding amounts less that $1000 ( or even up to $1500) makes very little sense. 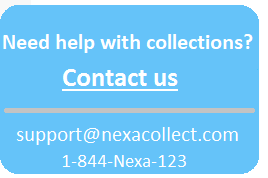 For smaller debts go for a Collection Agency and select their Collection Letters and Collection Calls service. If the amount is still outstanding, ask the Agency to give you an estimate for doing legal collections. You can further compare it with Collection Attorneys in your area. For amounts more than $10000 its better to go to a Collection Lawyer, if you are fine to pursue a lawsuit against the debtor. 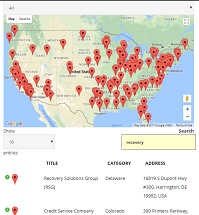 As mentioned before, always get a quote from attorneys in your area and also check their BBB ratings if avaiiable (or on bbb.org). For amounts in between $1500-$10000 you can go either way. A lot depends on the circumstances of the case and your personal choice. Many clients like to use the low cost Collection Agency’s Letters Service first ( between 60-90 days of the past due date) and then approach Collection Attorneys as the next step (past 90 days of the due date). The reason is that if a client has not responded to the demand letters of a Collection Agency, they directly want to turn up the heat by involving the Attorney without wasting anymore time. NOTE: If your debtor is a commercial business (not an individual) and you do not want to stain ties with them, yet apply a decent amount of pressure to recover your money back, then certainly go with an agency who specializes in Commercial Collections. A Commercial Collection agency is a expert in collecting commercial/B2B debts. 2. Do you want to take your client to the court ? As mentioned earlier, most collection agencies offer services which are one size fits all kind of an approach, therefore their costs are also lower than attorneys who take each case individually. Majority of debtors take Collection Letters MODERATELY/SERIOUSLY, Collection calls VERY SERIOUSLY and Legal notices from an attorney EXTREMELY/MOST SERIOUSLY. For hard to collect accounts with higher balances, you should consider taking legal action directly. But, if you do not want to take the matter to the courts, then its better to stick with a Collection Agency only. Many creditors avoid Collection Attorneys because of the the negative image that are associated with using legal action. 3. Do you think your debt is very hard to collect ? If you are not sure which way to go, but definitely apply full force right from the start, then Attorneys are the way to go. Regardless which ever one you select, if an Attorney or Collection has a “No Recovery, No Charge” policy, then give it a serious consideration, even if it charges a higher commission than others. If they are unsuccessful in collections, you lose nothing. Some Agencies/Lawyers specialize in a particular industry. Ex Healthcare, Car Dealers, Tenants or Student loans. These collection Agencies/Lawyers should be given a serious consideration. If a debtor has 100K sitting in his bank account, and yet he is not paying up a debt of 10K. Only a court order can force him to clear your bill. This is where a Collection Attorney has a clear advantage over a Collection Agency. Attorneys may further get court orders to garnish the debtor’s wages. Collection agency cannot force a debtor to pay (With Collection Letters and Calls) unless they too go for the legal option. Most lawyers are affiliated with Commercial Law League of America (CLLA), International Association of Commercial Collectors (IACC) or at narca.org. Filing a lawsuit is the most powerful weapon against the debtors. Debtors take legal actions much more seriously. Most Collection Agencies have a one size fits all approach for their Collection Letters and Collection Calls service therefore their service is relatively cheaper. This is also the reason why Agencies are able to work on such a large number of cases at a time. Commercial Collection Agencies do tend to have a more customized collection approach and are an excellent choice for B2B collections. Collection Attorneys have a nearly 100% customized approach for your case, hence they are usually more expensive.